Containing technology drawn directly from The Factors, here is a lecture with a special magic—a lecture L. Ron Hubbard considered so crucial he had it duplicated for distribution to all auditors. For herein is the answer to a question thetans ponder all their infinite days—to grant beingness or not grant beingness? Detailing the drama of how a thetan grants beingness then fights the beingness he has granted, Mr. Hubbard examines all consequences of the problem. From moment to moment creating his future, a thetan grants beingness in myriad ways—to the MEST universe, his own creations, other life and even his own time track. For the granting of beingness is not some rare talent or special skill, but a natural ability every being possesses to an unlimited degree. 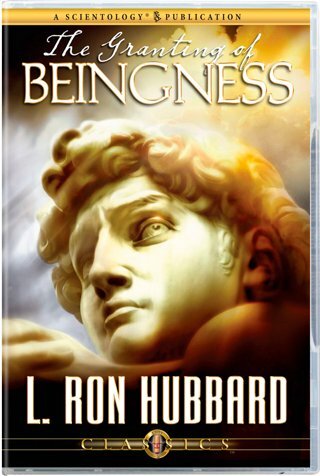 And as L. Ron Hubbard explores its infinite range of applications in auditing, art and living, he illustrates how life extends a welcome to the one who grants beingness and treats with disdain those who do not.